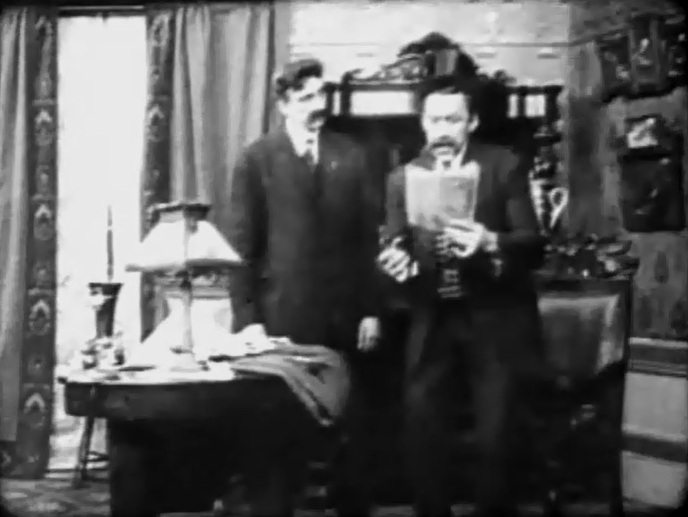 "Politician's Love Story" is a short comedy directed by D.W. Griffith. The film is included in our program to illustrate the work of two of our stars: actor Arthur Johnson and cinematographer Billy Bitzer. Florence Lawrence also gets a credit for the film, but it is difficult to spot her. 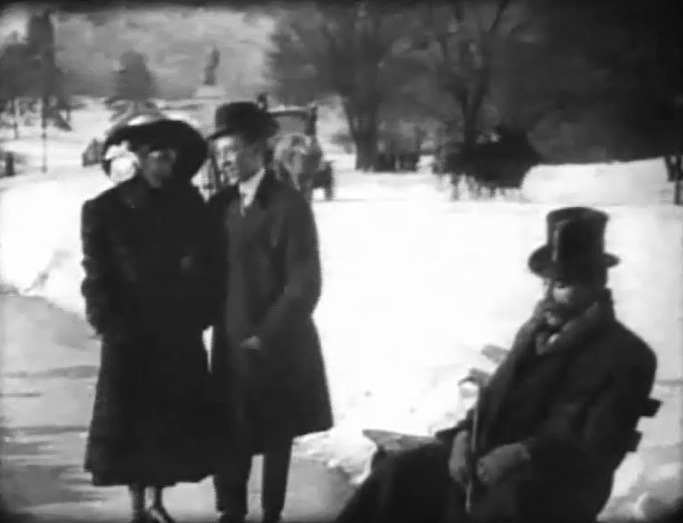 We did see and took a picture of D.W. Griffith as he makes a little acting appearance in addition to the director's job. A certain politician (Mack Sennett) is outraged when he sees a cartoon of himself in the newspaper. He decides to take revenge and shoot the cartoonist. However, when he bursts into the newspaper offices and finally locates the author, he gets a big surprise. 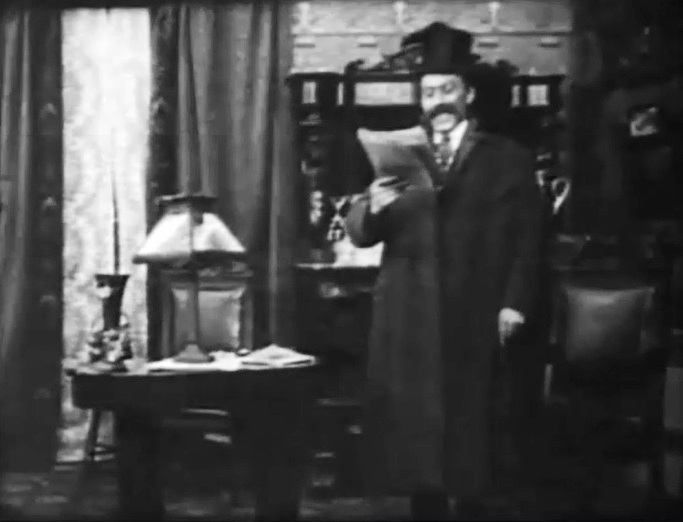 Mack Sennett is outraged at a cartoon of himself in "Politician's Love Story" (1909), directed by D. W. Griffith. 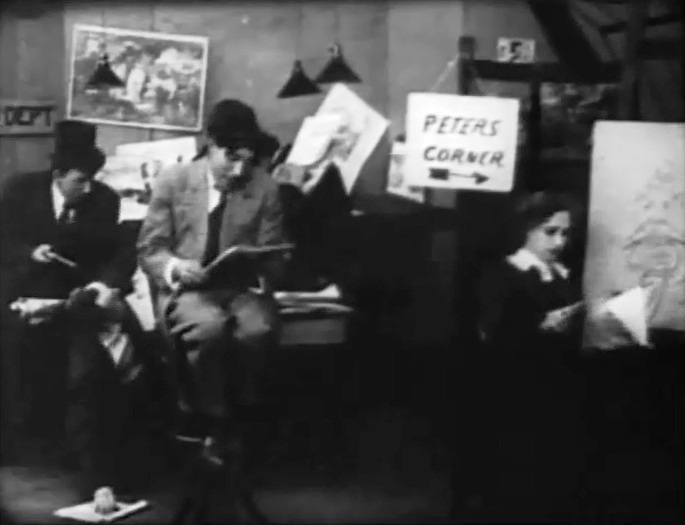 Mack Sennett looks for the cartoonist with a gun in hand as George Gebhardt and Marion Leonard are oblivious in "Politician's Love Story" (1909), directed by D. W. Griffith. Mack Sennett gets a surprise when he finally locates the cartoonist in "Politician's Love Story" (1909), directed by D. W. Griffith. 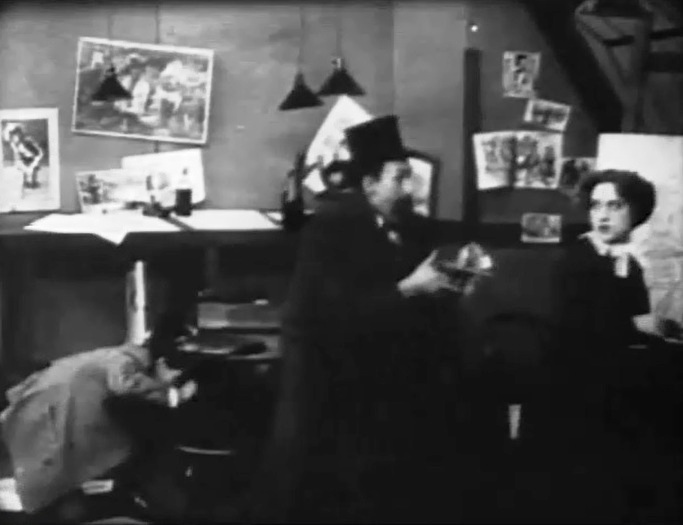 Mack Sennett looks at the cartoon with different feelings in "Politician's Love Story" (1909), directed by D. W. Griffith. 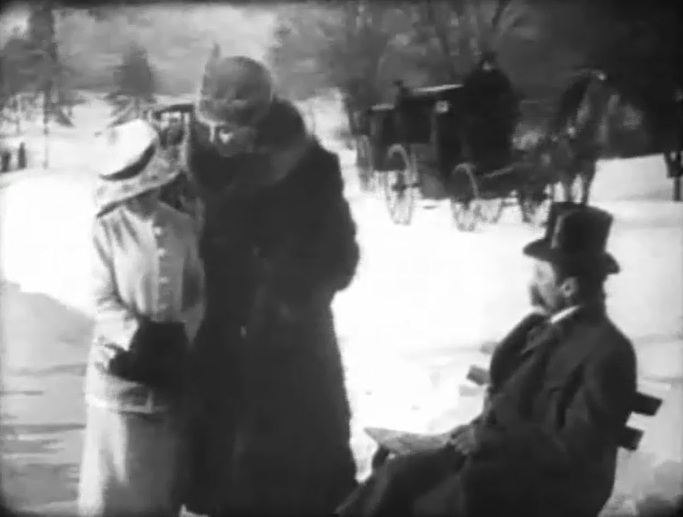 Mack Sennett rests on a bench as D. W. Griffith and a lady walk by in "Politician's Love Story" (1909), directed by D. W. Griffith.